MANILA, Philippines - Everyone is fascinated by outer space. When it comes to the wonders of the universe, every one of us is a child looking up and marveling at what is out there. Whatever drives your curiosity about outer space, there is an adventure waiting for you at The Mind Museum’s upcoming traveling exhibition, Space Adventure: Journey to the Wonders of the Universe! This is an exhibition conceived and created by The Mind Museum, with the support of exhibit partners Department of Science and Technology (DOST), Neltex, LEGO, and special thanks to Celestron, Urban Greens, Datem, and Daegu National Science Museum. Scheduled for launch on April 22, 2018, Space Adventure invites kids from 2 to 102 to embark on an adventure into the wonders of the universe. The interactive exhibits and play areas of Space Adventure will engage the imagination and curiosity of toddlers and young kids. Meanwhile, K-12 students will find their space science lessons in the new DepEd curriculum come alive through the exhibits! 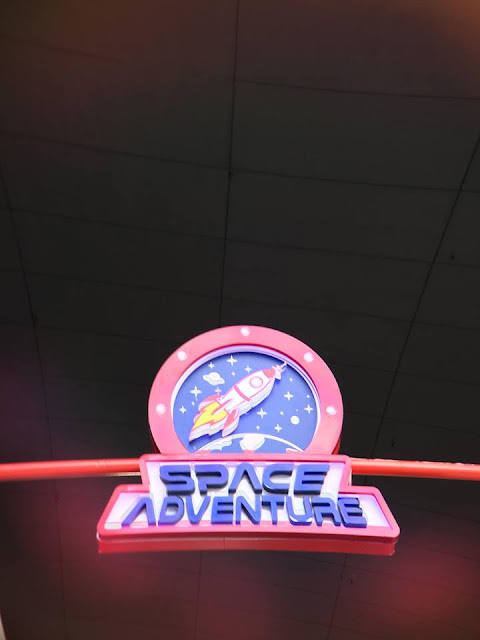 Space Adventure is divided into three areas, beginning with Fantastic Universe. Here, guests will learn about our links to the stars. In fact, the first exhibit guests will see as they enter is called I Am Star Stuff, an exhibit where the optical illusion reveals to guests that we are literally made of star stuff! In Fantastic Universe, kids will learn about constellations and star patterns by playing with the Star Wheel and the Geoboard. They can also get their creative juices pumping when they speculate about possible alien life forms in the Draw An Alien activity table. Guests can also marvel at the Cosmic Calendar, which compresses the 13.8-billion year history of the universe into one calendar year, with the Big Bang in January 1 and the appearance of humans in the final minutes of December 31. In Discover Our Solar System, guests will learn about our neighborhood in space. By interacting and playing with the exhibits in this area, kids will learn why Pluto is no longer called a planet, the difference between a meteor, meteorite, and meteoroid, why the Moon has phases, and many more. They will even get to hop on different planets and see what their weight is on Jupiter or Neptune! Enter the different geodesic domes, one of which houses augmented reality exhibits about outer space. Guests will also get to step into the Teleporter, a booth with mirrors that gives the guests an illusion of floating in space. In Explore Outer Space, they will play pretend to “launch rocket balls” to Mars in Mission to Mars. Meanwhile in the Mars Space Station they will learn about the challenges of living on Mars and some of the ideas scientists have of overcoming those challenges to help future astronauts survive and work in another world. Young kids can also play around with basic shapes and colors while learning about rockets in Rocket Shapes and Launch Pad Play Area. There is something out there in space for everybody, and there is something in Space Adventure for everyone interested in space. Scattered throughout Space Adventure are play areas and activity tables where even the youngest kids and their adult companions can bond and go on a space adventure together. There are also many exhibits designed to help K-12 students appreciate and understand their classroom lessons more. Educator’s Guides and Activity Sheets are available to enhance the experience and learning of young kids and students. The guides are also suitable for parents and adults who want the experience to be a bonding moment with their kids. Space Adventure combines the playfulness and awesomeness factor of The Mind Museum’s other space-related offerings such as Astro Camp, a camping activity under the stars, and educational programs such as Stargazing 101, Blast-Off To the Universe, and Playing With the Universe. Asking questions about space is both one of humanity’s oldest pastimes, and most forward-looking ventures. Space Adventure provides an opportunity for everyone to be kids again marveling at the majesty of our universe. Lastly, Space Adventure is part of a continuing series of science-themed traveling exhibitions available for booking across the country. *Students are required to present a valid Philippine school ID at the gate. *Academic teachers are required to present a Philippine school ID indicating “teacher”. The Mind Museum’s traveling exhibition Space Adventure will be on display in the Museum for a limited run. The exhibition aims to travel to cities and provinces around the country as part of The Mind Museum’s mission to bring science closer to the general public.